There are currently 114,665 users on this website. 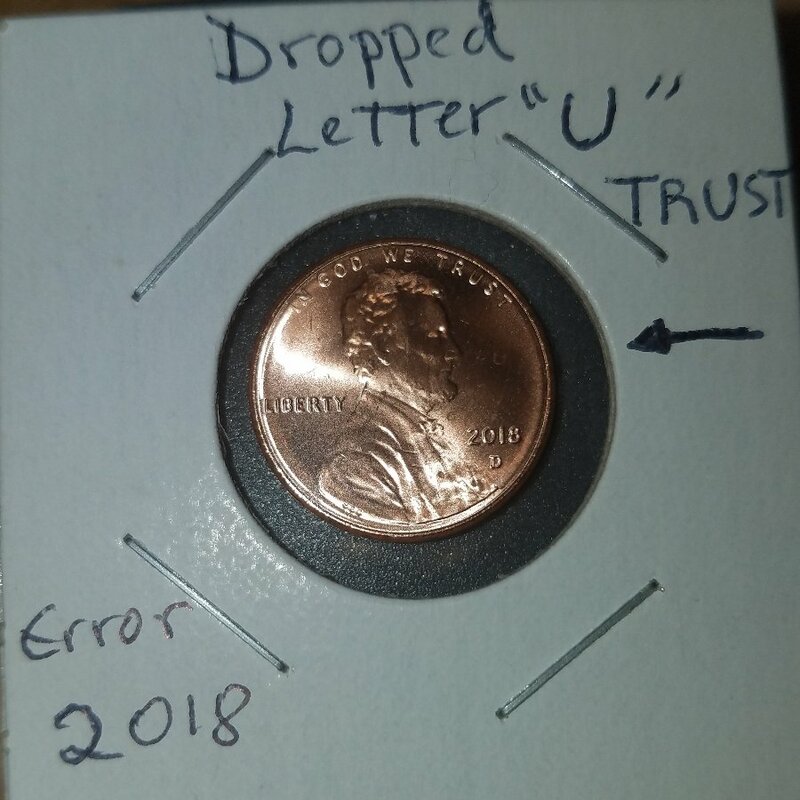 2018 Lincoln Penny Dropped Letter Error ""U""
Is the 'U' incuse (sunk into the coin) of is the area in question level? If it is level it is a stain. 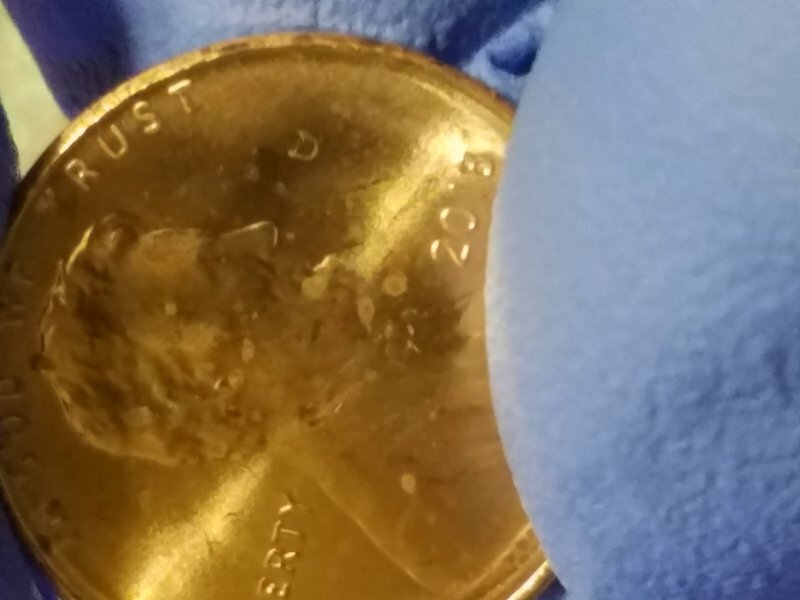 If it is incuse, it might be a struck through. Can't tell from images provided. Coop is incuse like minted..
Is the U a dent, a bump or flat? That's not a stain! 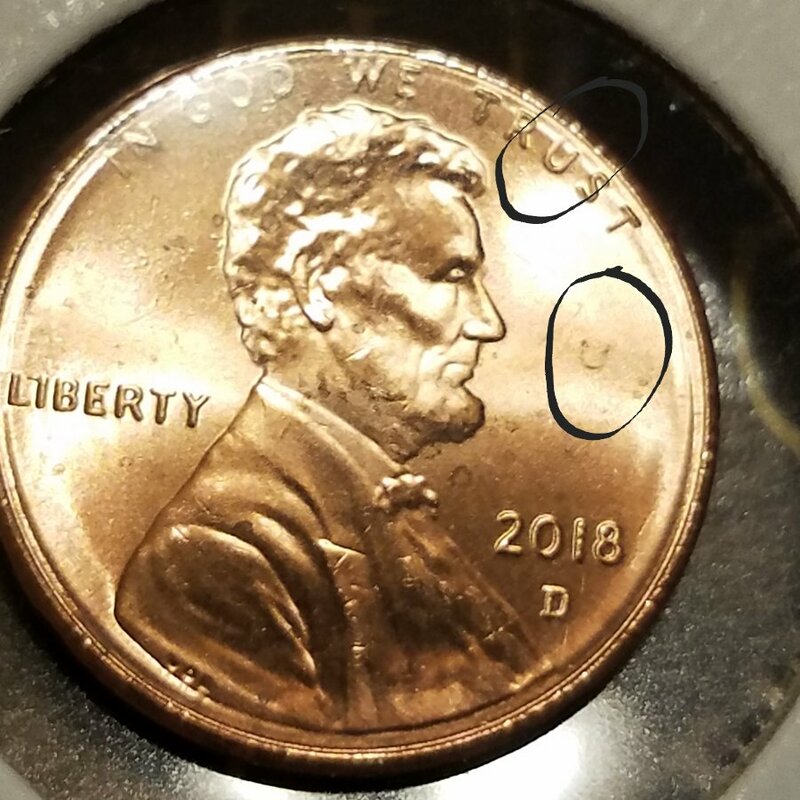 That's a legitimate Struck Through error. 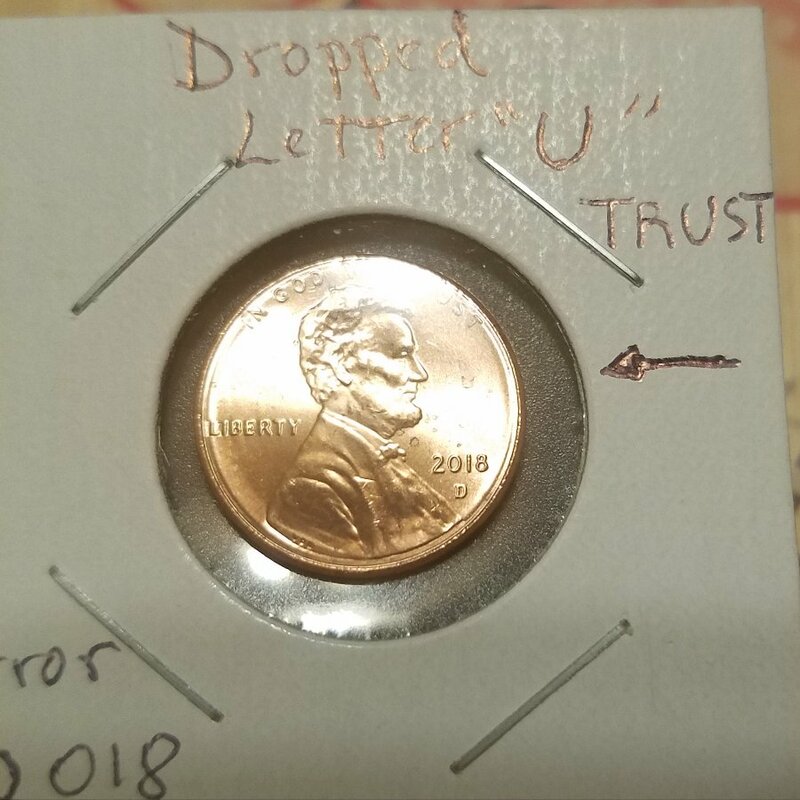 Although, I am not entirely sure on it being a Dropped Letter though.